“Hi Judy – Everything was absolutely wonderful…this entire mowing season. Please give the crew and Scott a gigantic thank you for us – we really appreciate the professional work and of course it’s been great working with you as well! We look forward to working with you all come April! Until next year…Happy Thanksgiving, Christmas and all the other Holidays! “EVERYONE comments on how great our front porch looks. They really did a great job! Next year, when everything is grown in, it will look even better! 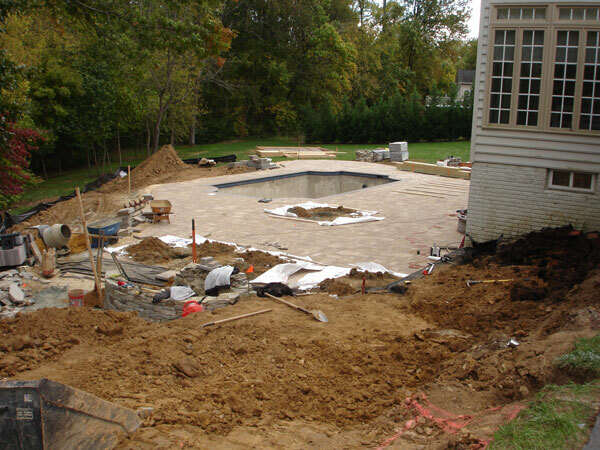 “Jeff – We are pleased with our new patio and portico. The workmanship is top notch and you and everyone that represents your company are professionals. We would be happy to give you a reference anytime and have our project featured in your brochure. All the best to you and your family. 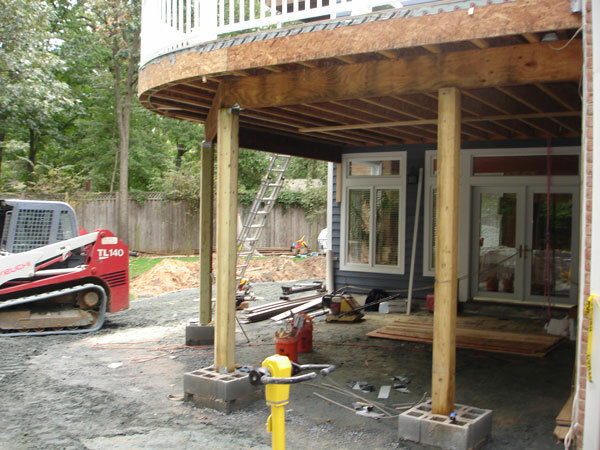 “Jeff had a vision of our front porch and it turned out beautifully. We couldn’t be happier with the level of responsiveness, the quality of work and the finished product! “Thanks, Jeff. You all did a beautiful job on our courtyard! It looks like a different place and much bigger. The walls and pavers are so attractive and the design. The plantings look great – the quality and color of the plants and the placement of them. I like the saracoco plants under the window, too. It is a job well done and done professionally. It was my pleasure working with you and will gladly recommend you. “Jeff, I just want you to know how much we are enjoying the pavilion and our backyard makeover. The grill is awesome and the beer fridges were a huge hit on a gathering we had a few weeks ago. “Please pass along to your team. They were at the house this AM and my husband who is normally very pickey about whom ever is taking care of the yard, I mean he usually does not have anything kind to say. Well this time he said it looks great, and the team was very professional. GREAT JOB!!! “Thank you all so much for the wonderful work that your entire crew does!!!. We are so happy that we called last year and met Jeff and everyone at Scapes, you are stuck with us now!!!. “I just wanted to let you know that you all did a wonderful job at the house. It is so nice to see someone who cares about what they do in today’s world. Thanks for taking care of this for Connie and me. Again thanks and take care. “Thank you. Tell Scott they did a great job, it all looks wonderful. My neighbors all came over last night to say how great it looks! The crew was great, very careful and diligent. “Scott, Thanks so much for a job well done. It’s everything I asked for an then some. The guys worked very hard. I look forward to doing business with Scapes in the future. 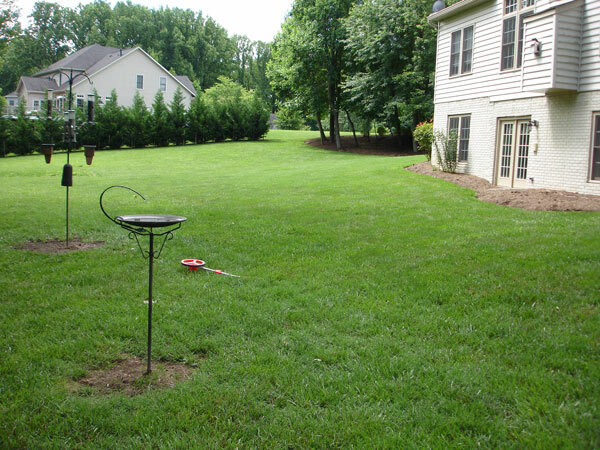 “We are absolutely thrilled with our landscaping. THANKS!! Great Job. The work was fabulous! I've finally found a landscaper! I will continue to use Scapes (yearly). 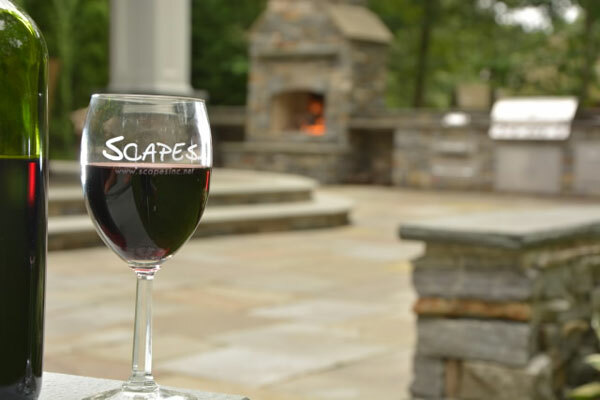 “It was a fabulous experience working with Scapes from design to the completed patio. This is a professional and very friendly organization, and the quality of work is outstanding!! “Thanks Jeff! It all looks great! You and your guys worked so hard and it all turned out despite some not so good weather days and some extra helpers on our end :). Am so excited for the finished product and am thrilled that we chose the design that we did. After coming highly recommended from Jim and seeing your portfolio I had no doubts. Am sure that we will find a project in the future that will include Scapes. Thanks again, see you Tuesday and best of luck with your newest addition! “Thank you Jeff, Scott, and crew for a beautiful backyard. 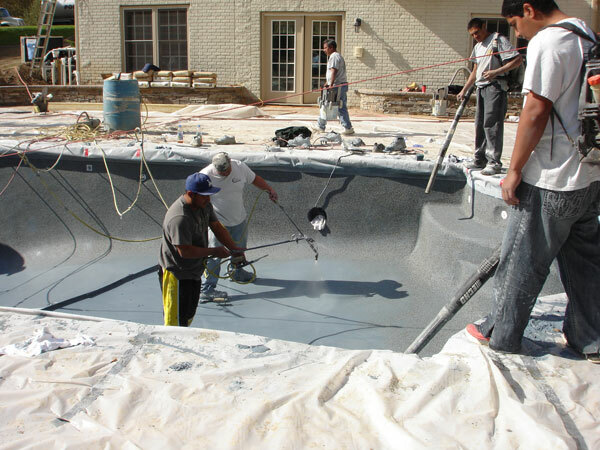 You and your crew completed our extensive project quickly, but with attention to detail and quality. Our family is now enjoying spending time in our backyard. We very much appreciate your professionalism and it was our pleasure to work with you. “Scapes was a great company to work with. They were professional, timely, and accommodating. “Jeff – We are most appreciative of your commitment to customer satisfaction. 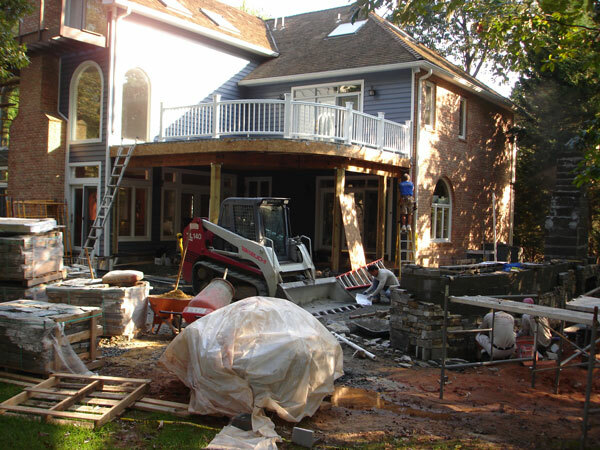 Excellent job performed by skilled professionals. We love our driveway!! “Thank you so much for the work you did for us. You took a small space and made it amazing. We love it! Your design is great. Neighbors have already stopped by to see your work and asked “Who did it?” Working with you was a pleasure. “Dear Jeff, Scott and the rest of the Scapes family, We cannot thank you enough for the beautiful job you did on our patio. We absolutely love it! We have received many compliments and have been told it looks like a picture in a magazine! Your customer service is top-notch! We will spread the word and highly recommend you to our family and friends. Feel free to stop by and enjoy it with us – when you’re not on the clock! “Jeff, I have to say that you and your crew are true craftsmen and you did an amazing job. It is always very stressful choosing a company to do work on your home. Always wondering if you made the right choice and selected the best company for a fair price. I can say with great confidence that we made the best choice. We appreciate that you always went out of your way to let us know what was going to happen from day to day and step by step. Your attention to detail and ability to listen and communicate with me to understand my vision for this project made me feel confident that things would get done right. Not to mention that you enhanced my vision. I think I am going to miss our frequent discussions:). Don't hesitate to use us as a reference. “Jeff & the Scapes Crew, Thank you so much for your wonderful work yesterday! We are just delighted with our new yard! Your professionalism and personability throughout this process was so appreciated. The crew did fantastic work, moving quickly but conscientiously and even taking the time to go above and beyond what we agreed to in the contract (removing the metal fence, laying the left-over sod on the side of the house, and trimming up the weeds along our remaining fence). We couldn’t have asked for a better experience and will certainly plan to work with Scapes again in the future. P.S. Please feel free to use any of this feedback for your website testimonials. “Jeff, we'd be happy to have you use us as a reference for your business and in fact have passed on your info to several neighbors who've asked. We have had many compliments on the great improvement to our walkway and porch and are so happy to have done business with you. Scapes, Inc. was a pleasure to work with and we'd highly recommend your company to others. 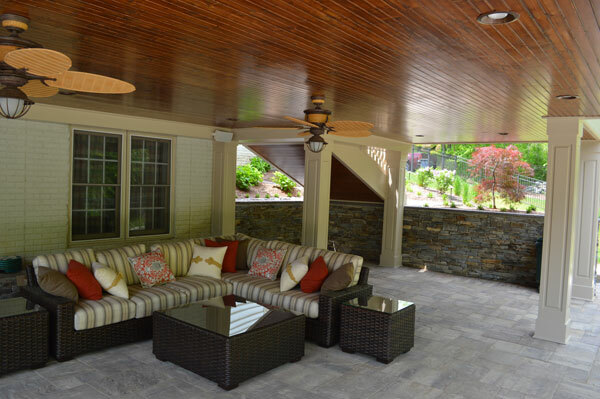 “Our new patio and deck combination has created a better and more functional outdoor living space. From what was an area that we never used, thanks to Scapes, Inc., we now have an area to enjoy, relax and entertain family and friends. This project turned out better than we ever expected!!! “All we knew was we wanted the swimming pool gone. 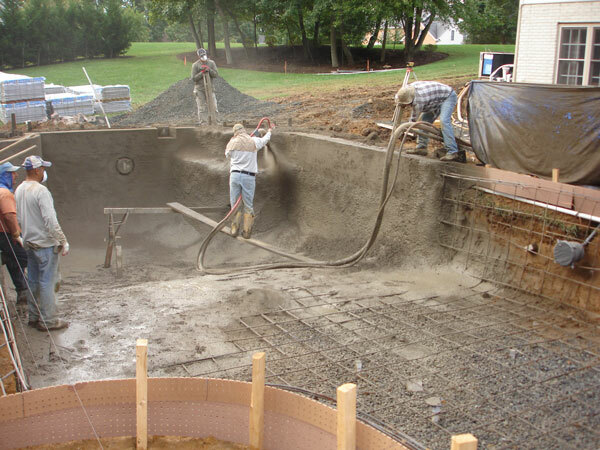 Who knew it would only take 2 days to demolish the pool and prep the space for pavers? From there it was all wishes that your team made come true. Your people were professional, always on time, very courteous and friendly. We are extremely pleased with the results of our beautiful patio, stone fireplace, circular driveway and beautiful landscaping. Your guys even went above and beyond when you hauled off the old sliding board. We will be in touch for the other side of the yard. You had the vision for the patio, driveway and walkway that we lacked. We are really looking forward to spring! And congratulations on the project making it to the EP Henry catalog. Impressive. “We are so pleased with our new patio. It is truly the work of artisans--Jeff and his crew did an EXCELLANT JOB. 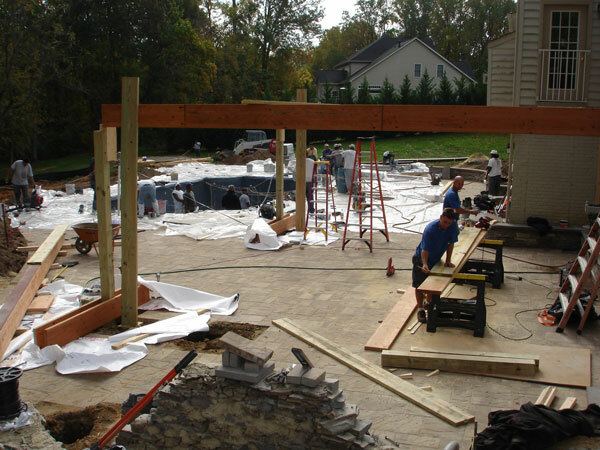 During the installation we decided to make the patio bigger and Jeff made it happen without any hesitation. Thanks Jeff, it was a real pleasure to work with you and your installers. “We really appreciate the great job you and your guys did on this. Everyone did well and we’ll do what we can to recommend you to anyone looking for someone who is as capable as your company. Looking forward to spring and watching the neighbors eyes pop. Thanks again. “Dear Jeff, Thanks so much for the hard work you and your wonderful crew put into our yard and hill. Everything looks so beautiful. Your crew was wonderful to work with and very pleasant to be around. That hill was difficult to do and they worked real hard to get it all finished. I have mailed your check but believe I still owe you for two bushes that we put in front of the fence. Was there anything else? Just let me know the difference and I will mail you a check as soon as we return from vacation. Thanks again for an awesome job!! I will be in touch in the fall for a fall clean up. Enjoy your new baby girl and have a great summer. Of course you can use my email for your testimonials. Everyone should know how great Scapes is!! 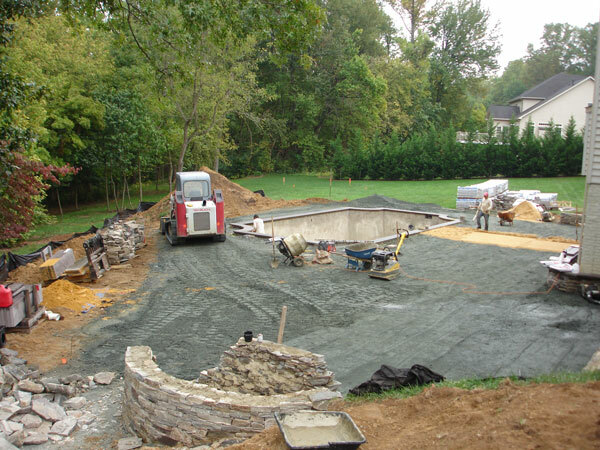 “In the summer of 2007 we contacted Scapes Inc. to provide us with an estimate to lay a sidewalk, patio, and wall with stone pavers. Jeff Crandell, the president, made a concerted effort to understand and accommodate our personal desires, and make recommendations based on his professional experience in this field. He fully explained the steps and procedures and the need to install pavers in accordance with the manufacturers specifications. He assisted in helping choose the color and texture of pavers best suited for our house and setting. At our request, he scheduled our project for a mid-September time frame. His employees always showed up on time, were professional and polite, and did an outstanding job. 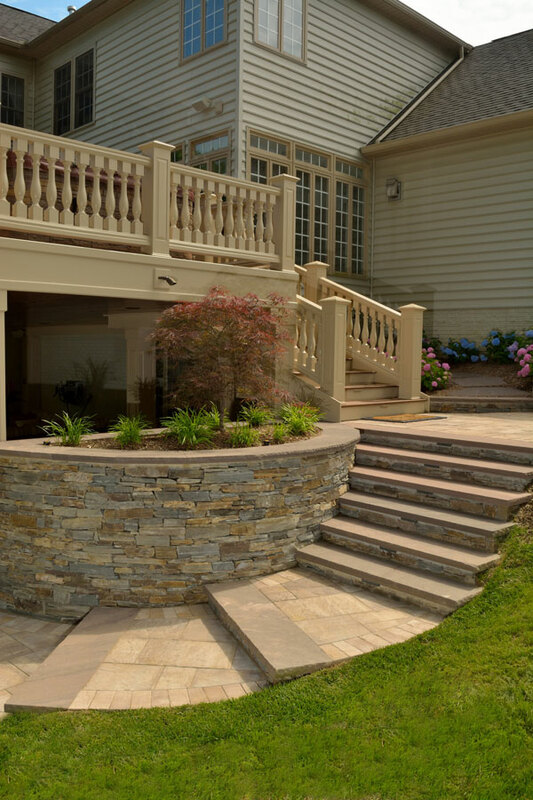 The results were an attractive serpentine sidewalk approximately 140 feet in length with three entrances to our decks and finishing at a small patio with matching retaining walls. We are EXTREMELY PLEASED with the finished product and with Scapes' timeliness and professionalism. Based on other bids, we believe that their pricing was fair; and we would HIGHLY RECOMMEND Scapes for your landscaping and paving projects. “I just wanted to let Scott know that they have been doing such a great job on the beds in our neighborhood. I’m sorry it took so long for me to send this. Everytime I go by I think to myself “I must email Scott and Judy”. Scapes does such a wonderful job…I know we’ve had a couple of landscapers in the past but Scapes has done the absolute best job of all. Thank you! 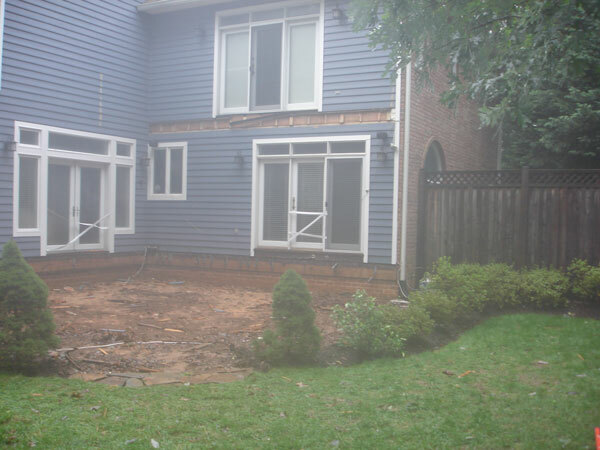 “Jeff - You and your staff totally transformed our backyard from an eyesore to a showpiece. We are thrilled with the results. The patio and walkways complement the design of the house and have created an outdoor living space. We really enjoyed working with you and your staff. They worked very hard and were always professional. Thanks so much for your excellent customer service and quick completion of our project. 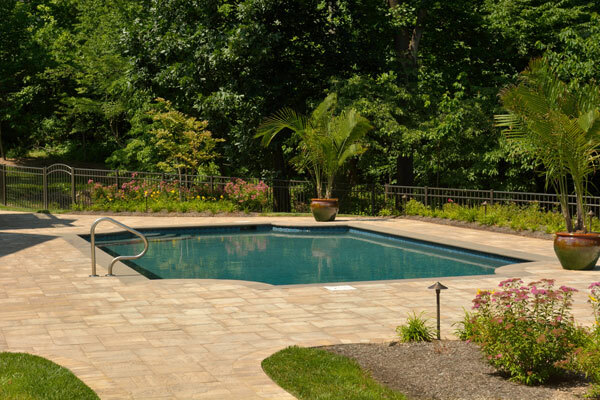 “Jeff – Wanted to thank you for a beautiful patio. It was a great experience for being the first project we contracted out. With your good communication throughout the project made us feel very confident that we chose the right company to do this work. 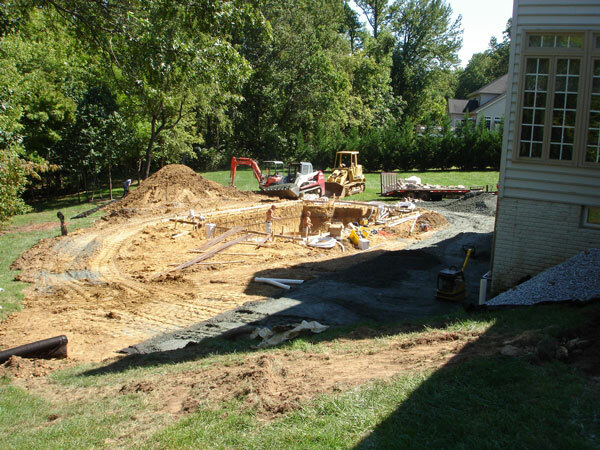 Your workers as well as all your subcontractors were a pleasure to deal with. We will highly recommend them and Scapes to everyone we know. Being self employed ourselves, a good word goes a long way. 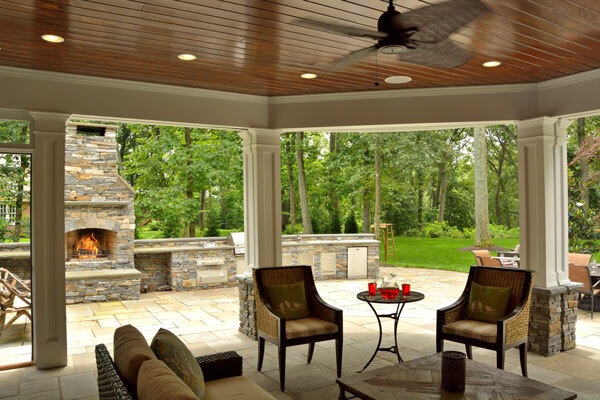 “Last Fall, we contacted Scapes, Inc. to give us an estimate on a project for extended out-door living. 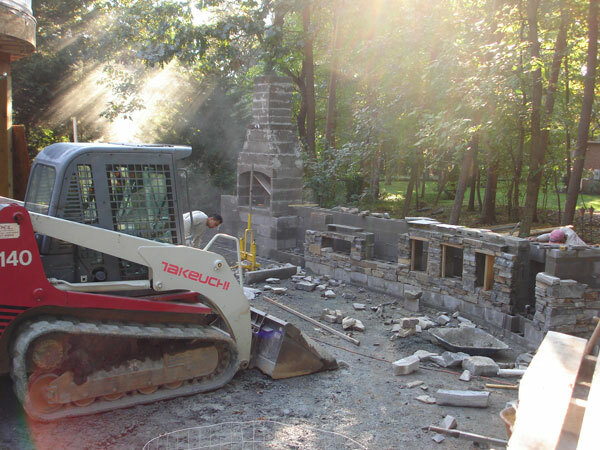 We had a pavilion built with elaborate walkways, a fountain, landscaping and exterior lighting. From the onset of the project to the end, it was a pleasure to work with Jeff Crandell and his team. They were prompt, courteous, knowledgeable and very attentive to detail. Suffice it to say, we highly recommend Scapes, Inc.
“I cannot say enough about the work that Jeff has done. He and his brother Scott, are both professionals at what they do. We were extremely pleased with the design and their creativity. “Scapes is a great company to do business with, they do excellent work and are very customer oriented. A rare find in today's business world. I would highly recommend Scapes to anyone! “Thanks so much for everything! Great design and your guys are great too! “Extremely satisfied with the whole job. “Awesome. Always do a great job. Had to call and tell you. Very happy.